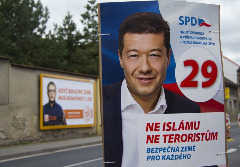 Kladno, with a population of 70,000, is known not only for its hockey and steelworks, but also for poverty and the rough situation in the twenty four local dormitories. In the absence of state-sponsored social housing, this is the only kind of private rented accommodation those on benefits are often able to secure; regular landlords won’t accept them. Some offer decent accommodation at an acceptable price, but often only for non-Roma people. The Roma are left to inhabit houses infested with cockroaches and bedbugs, where families of up to five people live in a single room without any right to privacy. There are shared showers in the corridors. Prices for this irregular accomodation can reach exorbitant heights – rent for one room for a family of five can go as high as 20,000 crowns (€930) a month. Today, the Turkish municipality of Şişli won the 6th “Dosta! Congress Prize for Municipalities”, for a project aiming at revising anti-discrimination policies and measures through a holistic approach involving Roma and non-Roma participation. The “Dosta! 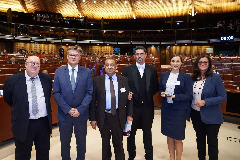 Congress Prize for Municipalities” commends innovative and creative initiatives that effectively ensure the long-term inclusion of Roma and Travellers, while respecting the diversity of these communities and ensuring their active participation in democratic life.